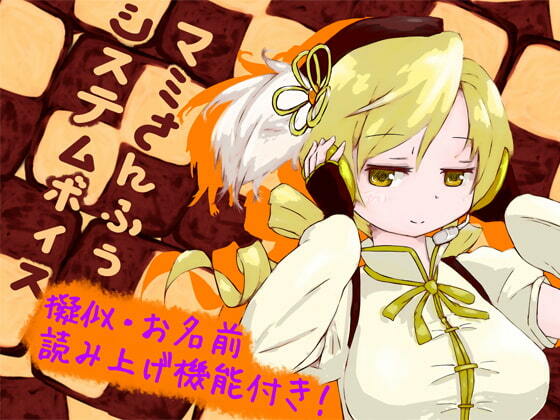 Do you wish magical girl Mami could be with you all the time, in all your activities? These WAV voice clips make her a day-long companion. Turn your device into a talkative Mami-esque magical girl conduit! Of course, you can also elect not to display any name. "Ah-kun", "Ko-kun", "Ri-kun", etc. - so you can definitely hear a close variation of your real name!